Tues - Friday 9 a.m. to 3 p.m.
Tuesday, April 30 ..... 1–7 p.m.
Wednesday, May 1 .... 9 a.m.–6 p.m.
1st Take-in includes: CA Mission Projects, Painting/Drawing, Photography, Bird Houses/Feeders, Sawhorses, Scarecrows, Shoebox Dioramas, Models, Dry Bean and Seed Art, Crafts, Computer Generated Art, Wall Murals, Poetry, Acrostic Poem, Essay, Short Story, Sewing Construction, Needlework, Agricultural Science Projects. • Refer to page 8 of Exhibitor Handbook for 1st Take-in. Friday, May 10 ..... 2–7 p.m.
Saturday, May 11 .... 9 a.m.–4 p.m.
2nd Take-in includes: Beneficial Insects, Silkworms and Worms, Bottle Biology, Horticulture/Container Gardens, Hydroponics. *IMPORTANT: Bring a step ladder when setting up your booth; the backdrop is 10’ high. • Deliver entries to Building #10 at Fairplex in Pomona. • If you have questions or concerns about delivering entries for 2nd Take-In or Booth setup, please call the office 909-865-4633 or the Fair phone at (909) 348-2988. We’re here to help you. Thank you for your participation and support of the Schools' Agriculture and Nutrition Program/Fair. You and your third or fourth grade students will learn how agriculture (water, plants, bees, fiber, food, and dairy) contributes to our everyday lives. From the food we eat to the clothes we wear, agriculture affects us all. AG DAY LA is filled with valuable hands-on educational experiences for third and fourth grade school students. 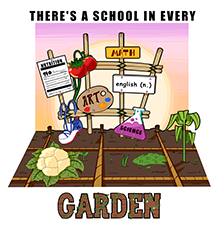 It provides a fun and exciting way for teachers to address State Standards, as well as to promote agricultural literacy. AG DAY LA is a joint partnership of the 48th District Agricultural Association, Los Angeles County Farm Bureau, the Los Angeles County Department of Agricultural Commissioner/Weights and Measures, the California Women for Agriculture-Los Angeles Chapter, Beekeepers Association and Southern California Beekeepers Association, Los Angeles County 4H-UC Cooperative Extension, and Cal Poly Pomona. This event is designed to educate L.A. County’s students about the state’s number one industry-agriculture! Limited funds available, first come first serve. 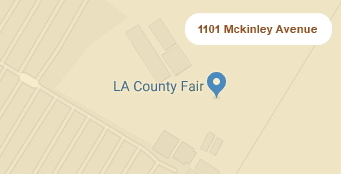 The fair is an agricultural educational fair featuring thousands of individual and classroom entries from hundreds of schools in the greater Los Angeles basin and surrounding areas. Exhibits/projects include art, photography, beneficial insects and worms, birdhouses, crafts, horticulture, hydroponics, mission models, paintings, posters, quilts, quilt blocks, sawhorses, scarecrows, school garden projects, science projects, terrariums and trout-in-the-classroom projects. The event attracts students, families, educators, and community members to celebrate the achievements of local students (pre-K through high school) and teachers, and to educate the attendees about the importance of agriculture and nutrition to California. School Presentations - Help others to learn about our fair. Call our office to schedule a presentation at your school or district office. Spread the word about our program to teachers and administrators. Join our Foundation and help the Schools' Agriculture and Nutrition Program/Fair - members receive a quarterly newsletter, invitation to events and annual meeting. They also have an opportunity to network with others interested in agricultural literacy. Southern California Agriculture and Nutrition Foundation (SCAN) Tax ID # 95-3723190. See below for "Support the Schools' Agriculture and Nutrition Program." Join our Foundation and help the Schools' Agriculture and Nutrition Fair - members receive a quarterly newsletter, invitation to events and annual meeting. They also have an opportunity to network with others interested in agricultural literacy. Southern California Agriculture and Nutrition Foundation (SCAN) Tax ID # 95-3723190. Make a cash or in-kind donation or volunteer your time. For more information, email SoCalAgNutrition@gmail.com or call 626-429-2452. We have moved to Fairplex in Pomona. Monday through Thursday; 8:30 am - 5:00 pm, closed for lunch 12:00 - 1:00 pm. Please arrive by 4:30 pm. Friday a.m. - by appointment only. It's always a good idea to let us know when you plan to visit by calling (909) 865-4633 or email to daa48th@aol.com. Tours of the Mt. SAC farm and surrounding facilities are great for prospective students interested in agriculture or animal care, school field trips, or group outings. The tour is a 1-hour, guided walking tour; Ag Ambassadors can accommodate up to 30 people per tour. Each tour is unique and can include such animals as sheep, pigs, cattle, horses, and llamas. 9:00 a.m. to 2:00 p.m., by appointment only. Tours can be arranged Monday through Friday during the Fall and Spring semesters. We ask that you schedule your tour at least two (2) weeks in advance. Tours are provided at no cost, but donations are appreciated. Call 909-274-4794 to schedule a Farm Tour. Youth and School Programs at no cost. Visit http://www.homesteadmuseum.org/youth-school-programs for additional school tours.